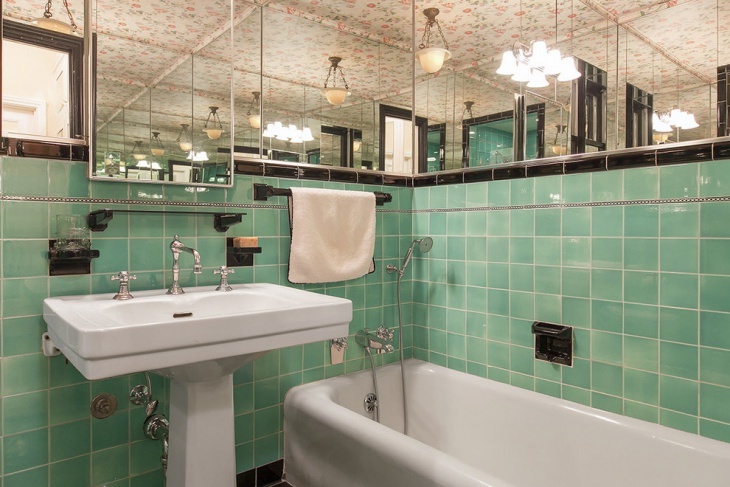 This lime green décor in the bathroom is very appealing to the eyes. Paired with white accessories, it has created an amazing effect in this master bathroom. 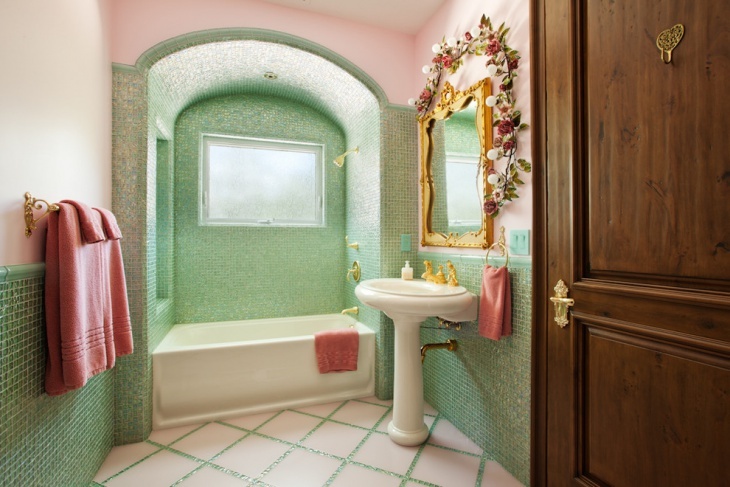 It also contains several lime-green colored pots wherein flowers and plants are placed that add to the beauty of this bathroom. 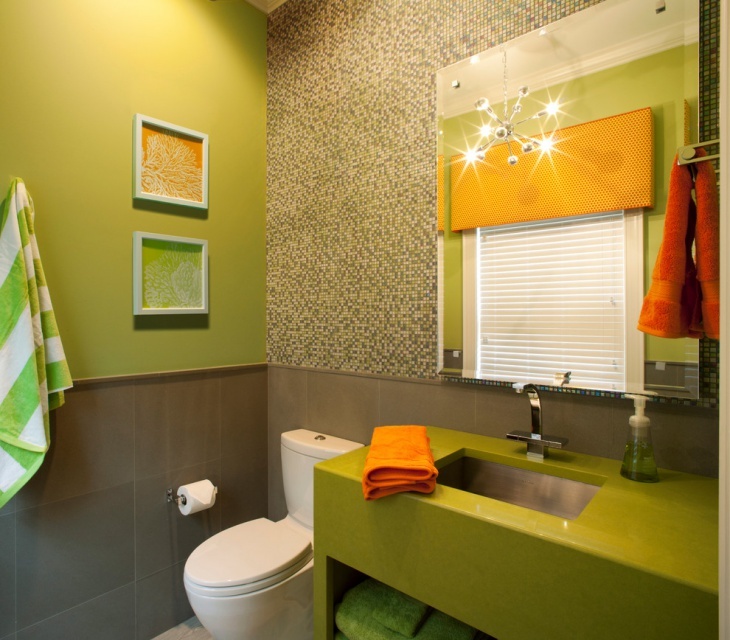 This bathroom contains a bathroom rug in lime green which complements very well with the décor of the bathroom space. 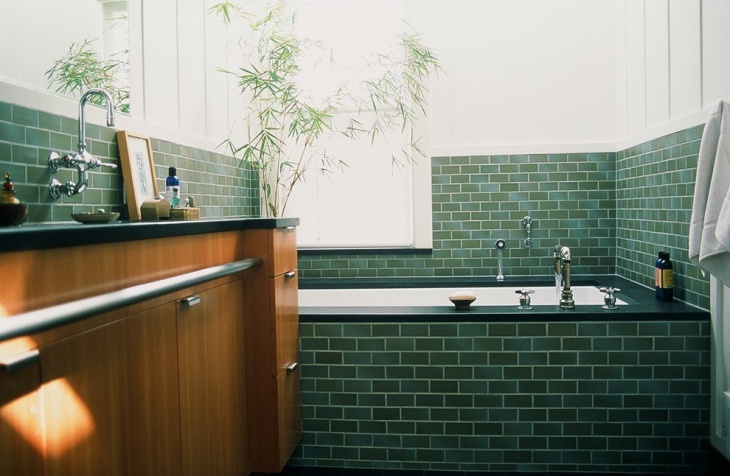 The backdrops of two areas in this bathroom have a lime green finish to it, and they look exceptionally well. 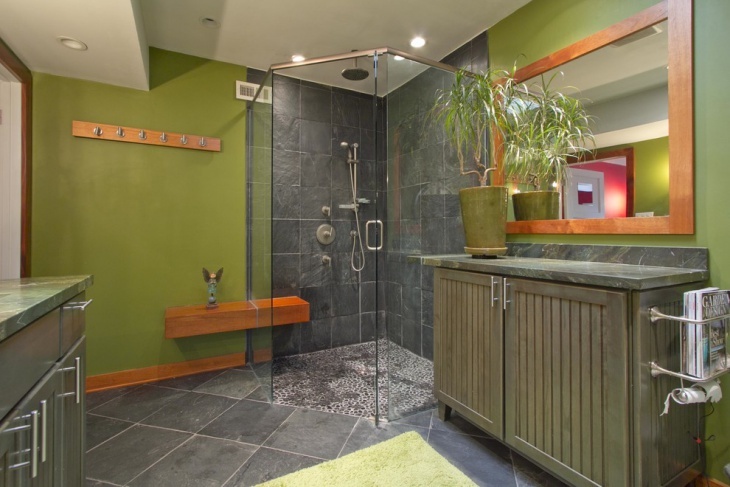 This bathroom has a combination of lime green and gray that has created a magical look. 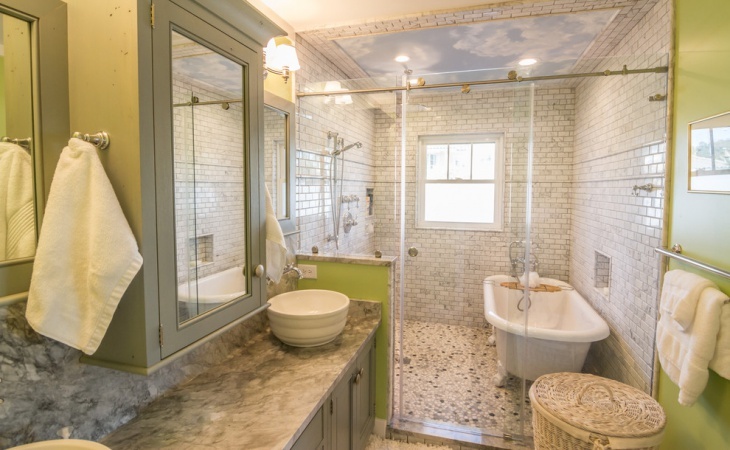 There is a glass enclosed shower area wherein the tub is placed as well, and it has mosaic tile flooring with colors like white, black and gray. The vanity is also in gray shade with a gray marble countertop. 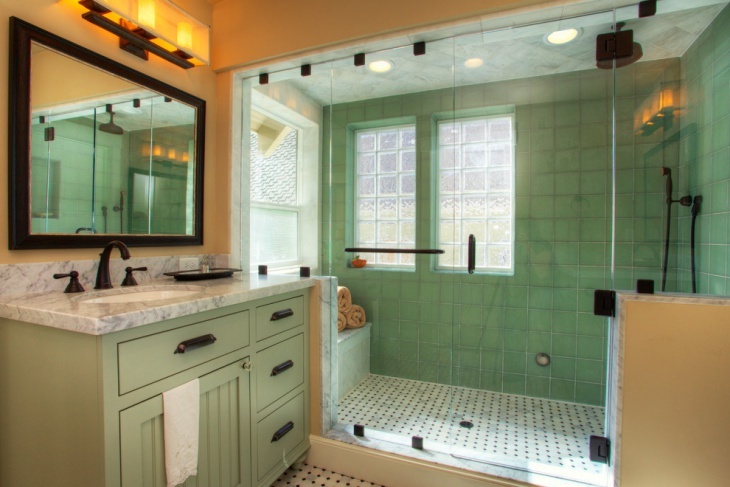 This master bathroom has black and green accessories that complement well with the entire décor of the bathroom space. 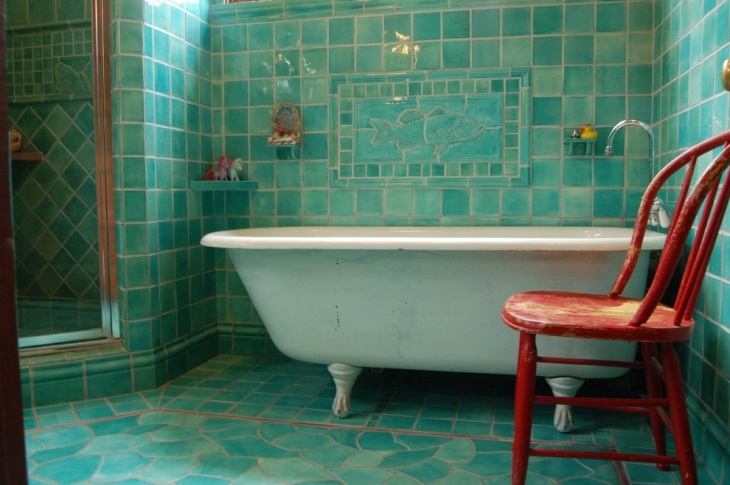 It contains a vanity in the turquoise green shade on which a grayish white marble countertop sits. 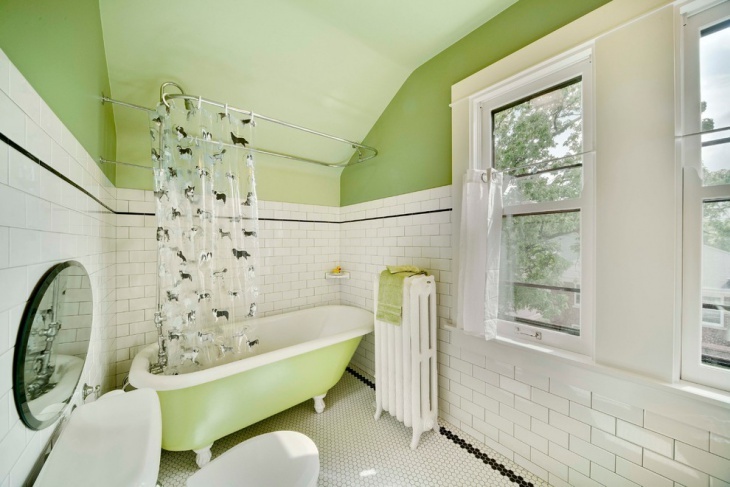 This beautiful lime green bathroom paint is very bright and colorful. On one side, there is a plain green wall whereas on the other there is a mosaic wall. 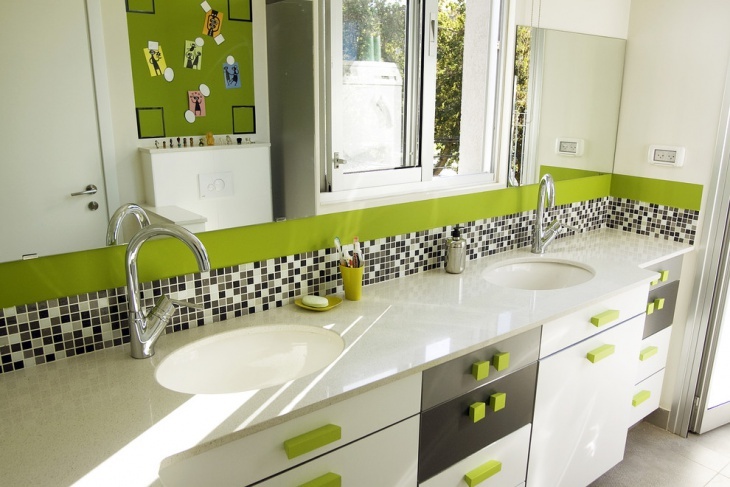 It has a lime green countertop wherein is a rectangular sink. 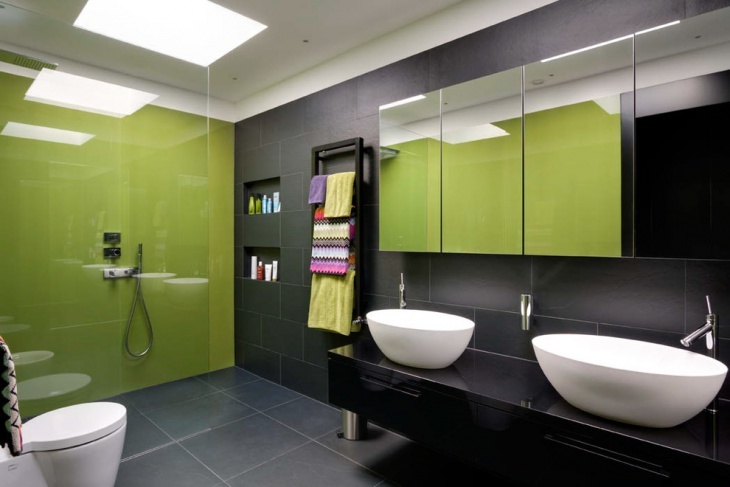 This awesome lime green bathroom has many décor items and is truly elegant. 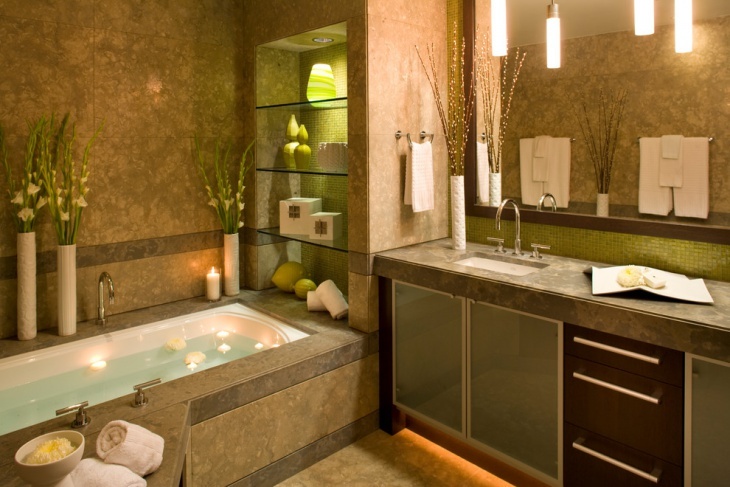 The vanity of this bathroom has shades of gray and brown with natural stone counters. The borders of the mirror area are covered in lime green mosaic and to complement with that are green décor pieces. 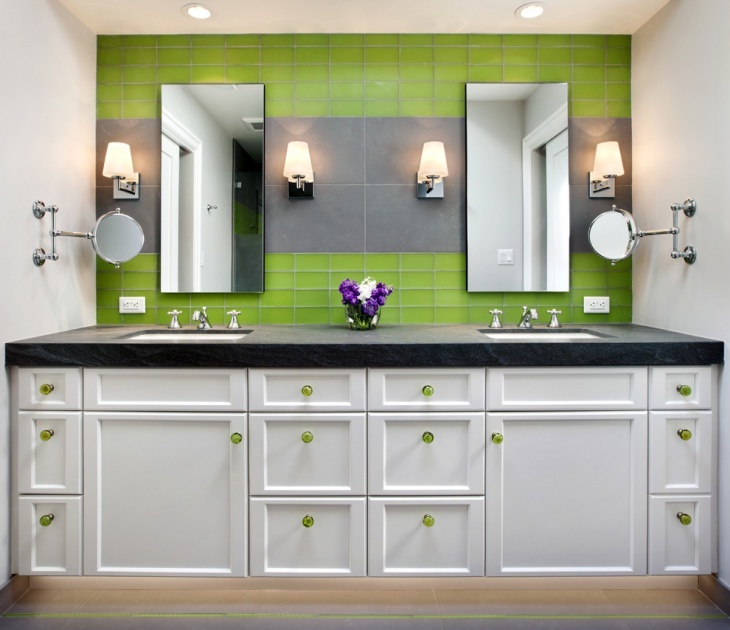 This lime green bathroom wall design is very beautiful and contains a large vanity with dual sinks and faucets. It has a lime green border with a black and white mosaic right below that. 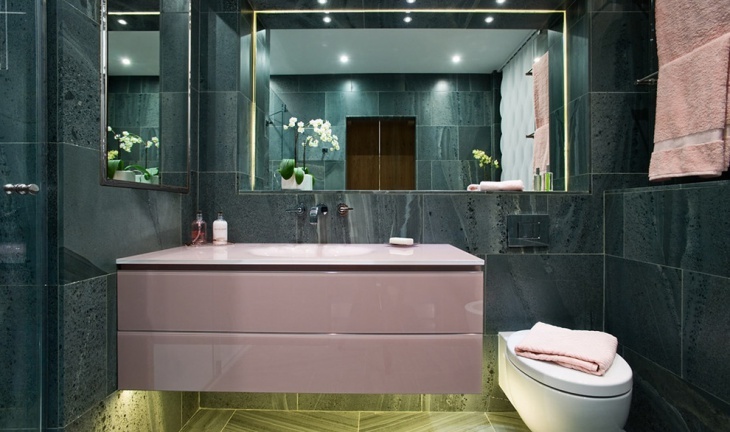 This bathroom has lime green interiors and they are designed in a very organized yet chic manner. The backsplash of the vanity has square shaped lime green walls which complement well with the lamp like lights placed in this dual sink counter top. 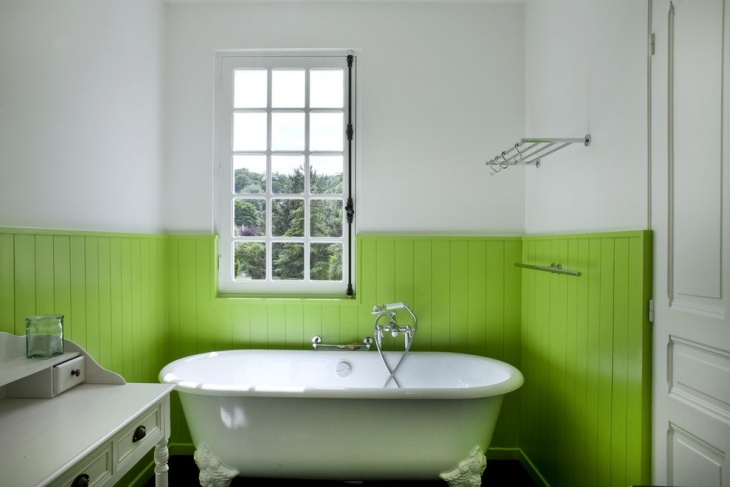 Lime green interior in the bathroom space looks chic, cheerful and vibrant. When mixed with other colors like white, black and gray, it becomes more colorful. 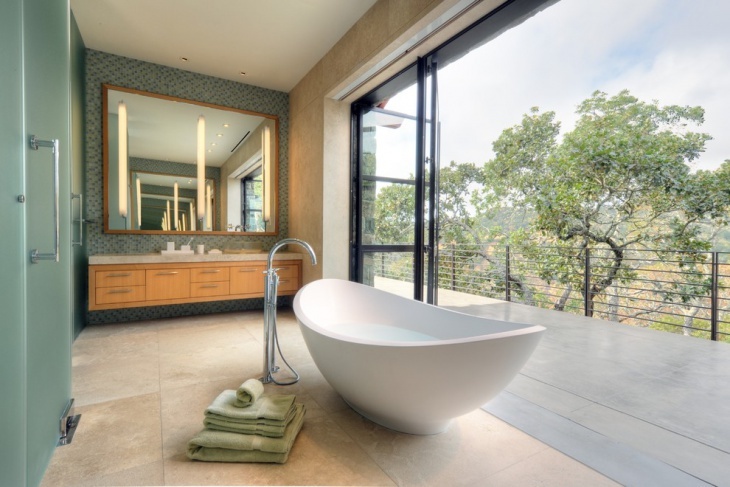 This type of décor is best suited in contemporary bathrooms. 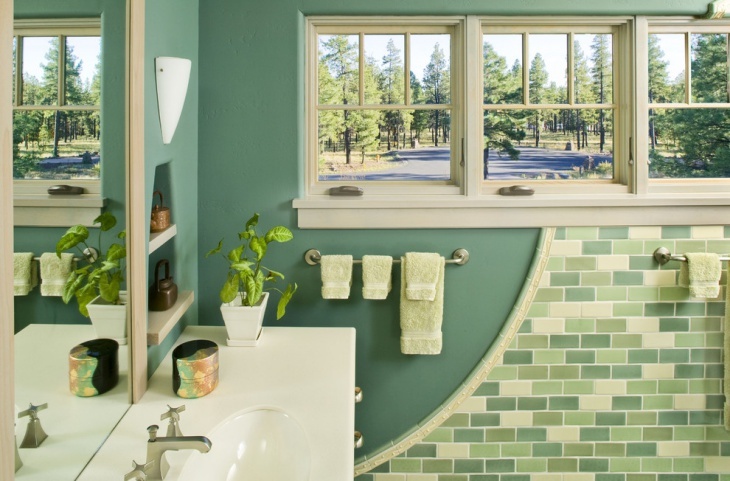 You could draw inspiration from the above lime green bathroom ideas.